Fort Myers Beach is perfect for those looking to lay back and relax as well as those looking for a lively atmosphere and fun beach activities. For nature lovers, we recommend checking out Lovers Key State Recreation Area and Bowditch Point. If you are looking for more action head down to Times Square and enjoy the a more lively crowd at Lynn Hall Park. There are also plenty of beach access points all along Estero Blvd. Of course, you don’t have to leave our property at all if you just want to take a few step from your room and enjoy the beach at Gulf View Manor. 17 acres at the northernmost tip of Estero Island; perfect for walking, swimming and sunbathing. Lynn Hall Park features a licensed fishing pier and a gift shop. Conveniences include easy parking, fresh water showers, changing area and rest rooms. 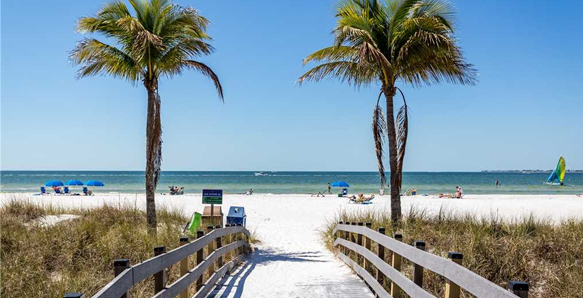 This beach is adjacent to Times Square – the heart of downtown Fort Myers Beach! Enjoy live entertainment, shopping, dining and more. Lover’s Key is 2.5 miles of beach – one of four barrier islands located between Fort Myers Beach and Bonita Beach. It is home to bottlenose dolphins, West Indian manatees, roseate spoonbills, eagles and more. The park’s concession offers kayak tours, as well as bicycle, canoe and kayak rentals. For tour reservations and rentals, call (239)765-7788.